"It snowed without stopping for week after week. When it ended at last, Cami Lou took a peek. She bundled and booted and zipped up her brother. Let's build a huge snowman unlike any other " Cami Lou and her brother build the biggest, hugest, most mammoth snowman the world has ever seen. It's Snowzilla The snowman becomes an instant sensation, and tourists pour into the small town. But not everyone is impressed. Some say the giant snowman brings giant problems. Then a judge rules that Snowzilla must come down. Can Cami Lou and her brother save Snowzilla? 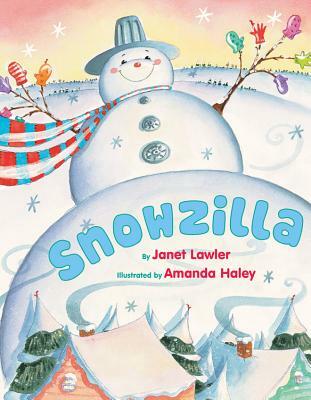 This fun winter story combines rhyming text with adorable acrylic and colored pencil artwork.